Main level living at it's best, close to the beautiful Mississippi River. New carpet and paint, Sunny spaces. Close to shopping, restaurants, golf and trails. Meticulously maintained and completely updated. This Mtka home mixes classic with modern on 3 levels. Bright open living spaces. 3 generous BR's on one level. Walkout LL w/additional BR, 3/4 bath and sauna, HW floors, updated baths. Formal dining rm w/access to expansive 800+ sq ft paver patios. Amazing chefs kit. w/high end SS appl, modern cherry cabinets, glass tile backsplash, granite counters & custom tile floors. Award winning Mtka schools, close to shopping. Beautiful Traditional Executive home @ The Lakes. Spacious, Open layout. Handsome Wood Floors, Expansive Stainless Kitchen, oversized vaulted Master Suite, & more. Open unfinished Walkout Lvl awaits your ideas. Near parks, walking trails, beach, TPC Golf, & more. Enjoy your own private retreat! 3.9 private acres. Beautiful 5 bed, 4 bath two story situated among beautiful gardens and towering trees. Many updates throughout this home include a renovated master bath, beautiful Cherry Kitchen cabinets and hardwood floors. Don't miss the large unfinished area off the master-used for storage or ready to be finished. Oversized insulated garage. Award winning Westonka Schools. Fully restored Custom craftsman on mature 2.9 acres, energy efficient walls, ceilings, windows & doors. 9' ceilings + vaults w/updated mechanicals. SS appliances, hardwood floors, office w/entry. 34x24 heated garage/shop w/loft. Lot is sub-dividable too! The data relating to real estate for sale on this site comes in part from the Broker Reciprocity program of the Regional Multiple Listing Service of Minnesota, Inc. Real Estate listings held by brokerage firms other than Coldwell Banker Burnet are marked with the Broker Reciprocity logo or the Broker Reciprocity house icon and detailed information about them includes the names of the listing brokers Coldwell Banker Burnet is not a Multiple Listing Service MLS, nor does it offer MLS access.  This website is a service of Coldwell Banker Burnet, a broker Participant of the Regional Multiple Listing Service of Minnesota, Inc.